In the predawn hours this date in 1989, Cuban Gen. Arnaldo Ochoa was shot in a pasture at a West Havana military base along with Col. Antonio “Tony” de la Guardia and Captains Antonio Padrón and Jorge Martinez — all convicted of treason against the Cuban Revolution because of drug trafficking. Before his abrupt fall just weeks before this date, Arnaldo Ochoa was one of the shining stars of Castro’s Cuba. One of the Sierra Maestre guerrillas, Ochoa had fought with Che Guevara in the Battle of Santa Clara that toppled the Batista regime. In the decades that followed, he rose to become one of the most powerful officers in Cuba, serving in Venezuela, Angola, Ethiopia. But in early June 1989, and shortly after a Mikhail Gorbachev state visit to Cuba delivered the bad news that the crumbling Soviet Union would be withdrawing its subsidies to Havana, Ochoa and State Security officer Tony de la Guardia* were suddenly busted for running a drug-smuggling operation — essentially conspiring with the Colombian Medellion cartel to exploit Cuba’s position on the most direct routes to Florida, and corruptly skimming the proceeds in the process. There seems to be little doubt among those in the know that they were doing exactly that, but endless speculation about what else they were up to — what the executions were really about. There is the year, to begin with, which is why we’ve mentioned Gorbachev; Castro was hostile to the Soviet leader’s glasnost reforms, and could read well enough the dangerous direction of change in eastern Europe. He wanted Gorbachev to put the brakes on. 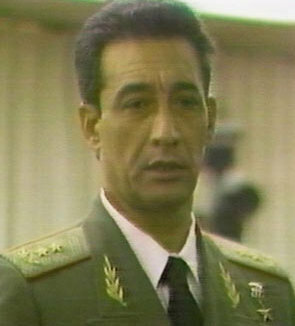 Ochoa was seen as a charismatic figure of a more liberal outlook and close to Russian officers to boot, and one school of thought has it that he therefore looked like the sort of man who might be able to mount a coup or serve as the KGB’s catspaw if it came to regime change. Whether or not Ochoa was targeted on that basis, Castro surely did not regret during those dangerous transitional years as Russian patronage slipped away the salutary effect this day’s doings would have had on any other potential aspirants for his job. If I receive this sentence, which might be execution … my last thought will be of Fidel, for the great revolution he has given our people. The drug charges, too, point the way towards plausible hidden agendas. At the same time, it’s all but inconceivable that they were taken completely unawares by “revelations” that their aides were up to something shady. So the hypotheses in this area run the gamut from: Ochoa and de la Guardia taking an authorized but circumscribed covert operation and avariciously expanding it beyond any possible license; to, everyone at the top being up to his eyeballs and Ochoa and de la Guardia eliminated when it became expedient to bury their firsthand knowledge of Fidel’s firsthand knowledge. Timing, again, is suggestive; with the coming withdrawal of Soviet protection, this might have been seen in Havana a prudent moment to trim sails on narcotics transshipment. Whatever Arnaldo Ochoa and Tony de la Guardia may have known or sensed about the wheels-within-wheels of Havana politics, they took it to their grave 21 years ago today. Perennial declarations of the Castros’ imminent fall have made the rounds ever since, but until that old stopped clock manages to tell the right time, it’s likely that the rest of us will have to content ourselves with guesswork. * De la Guardia was a friend of the writer Gabriel Garcia Marquez. In this very year, Marquez dedicated The General in his Labyrinth to the soon-to-be-disgraced colonel. Speaking of de la Guardia literary connections: Tony’s daughter, Ileana, has also published a book. I am so angry at the unnecessary execution of my grandfather Lt. Enrique Despaigne. Thanks to Castro I was never able to meet my grandfather. I feel that Castro has done an injustice in Cuba and I anticipate the day that Cuba will be free. Cubans are suffering with limited resources and the lack of freedom of speech in which we take so lightly in the USA.